Decor & Concept After 5 outlets in China, the restaurant is an exact mold of cha chaan tng in Hong Kong, including the narrow space between tables. It really has a feel of Hong Kong! The restaurant even plays Cantonese songs. It’s a 4-in-1 concept with more than 300 dishes: roasted meats 九如烧腊, noodles and congee 香港粥面, dim sum 龙凤茶居, and toast, instant noodles and drinks 白宫冰室.8 chefs are invited from Hong Kong, each specializing in their field, like Chef Siu Chin Ho from Yung Kee, a famed HK roasted meat restaurant; and Chef Ho Yum from one michelin-starred noodles restaurant, MAK’s Noodles. Malaysia Boleh means “Malaysia can do it.” My Ipoh friend said, “What a stupid name. 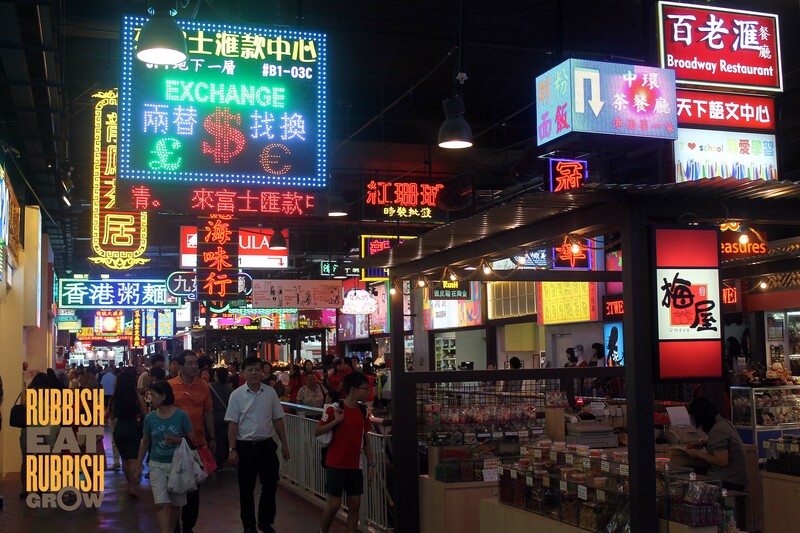 But the food is quite nice.” It is a food court that brings in some of Malaysia’s most famous street food. 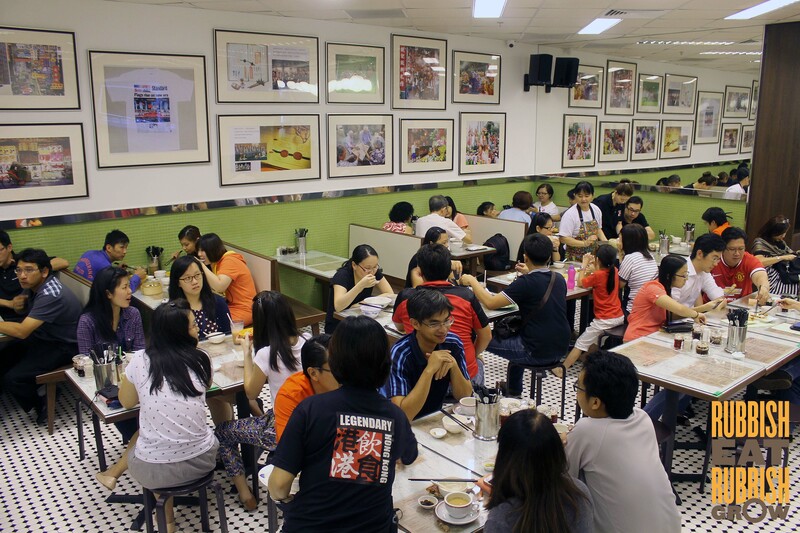 The two owners went to each and every stall in Malaysia to apprentice day and night to master the dishes. They promised they wouldn’t reveal the recipes to others and not to set up shops in Malaysia. 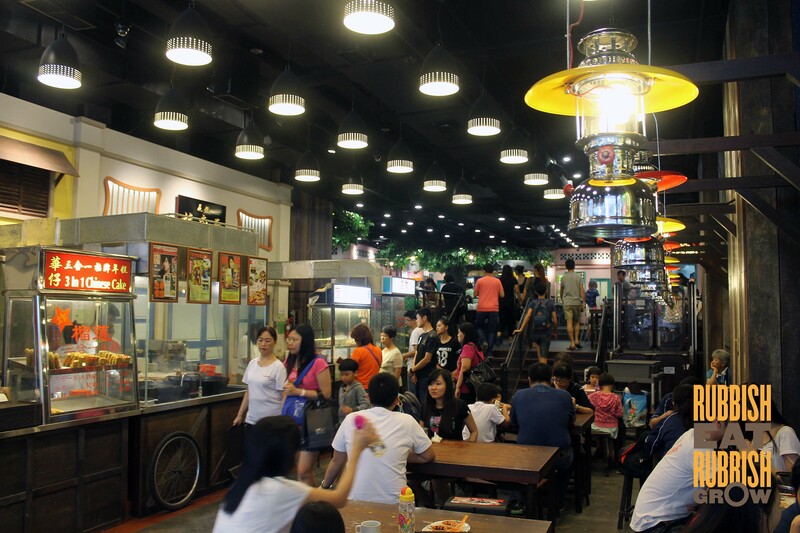 Every few months, the original Malaysian stall owners would come to Singapore to audit the food.The design of the food court is like 60s Singapore, complete with songs from the 60s! Very awesome. Food My favorite was roasted London duck ($14.80 portion/ $30 half/ $58 whole/ roasted duck rice $7.80). Imported from Ireland, all ducks are handled by hand, not machines, so that they are not bruised. They are fed on a natural diet, no GMO food, and thus, have lesser saturated fat than other ducks. Tastewise, it was extremely fat, but didn’t feel jerlat. 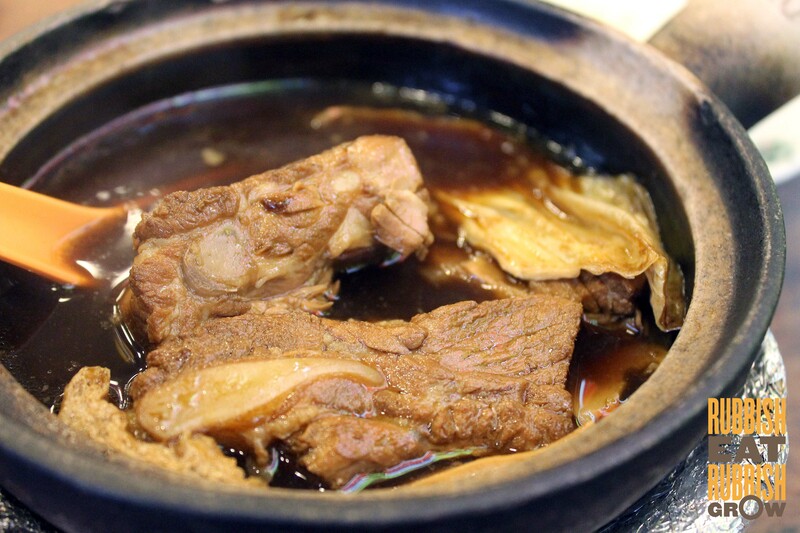 Another great dish was braised beef brisket and tendon in clay pot ($12.80). The tendon was smooth, and jelly-like, but not slimy. 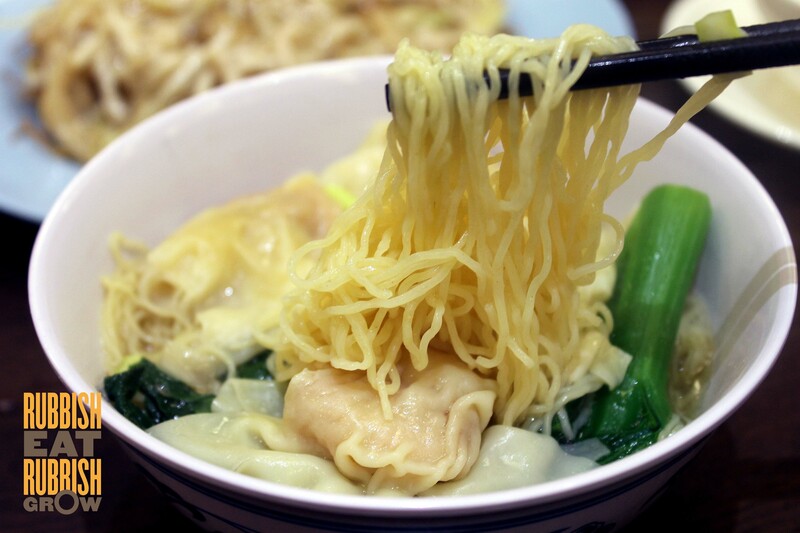 Wonton in the wonton soup noodle ($6.80) is made from solely prawns, no pork, but had a mysterious, complex, umami lardy taste. Like HK noodles, this one had an alkaline taste. 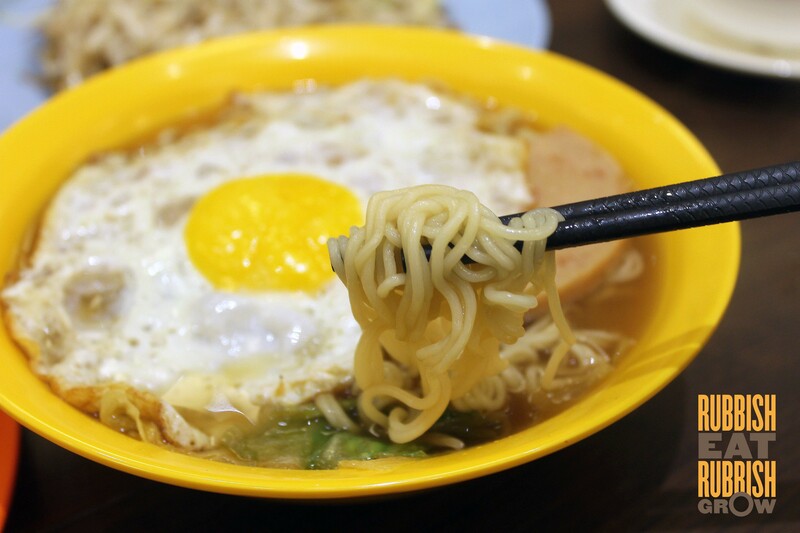 A trick Hongkongers use is to dip the noodles in red vinegar, like tsukemen dipping ramen, and wash away the alkaline. 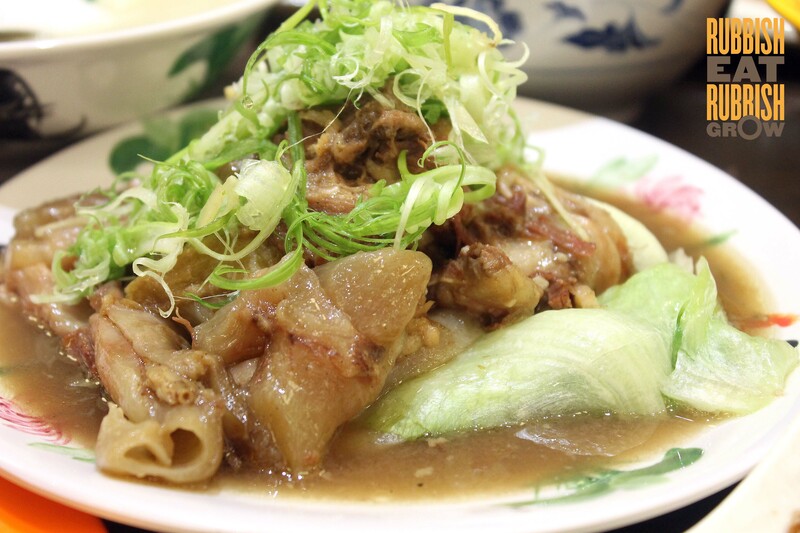 If you’ve no stomach space, you can stop at the three above-mentioned dishes, although others were not bad. Another trick was to poke holes with a fork in Hong Kong Toast ($2.50), so the butter melted through. 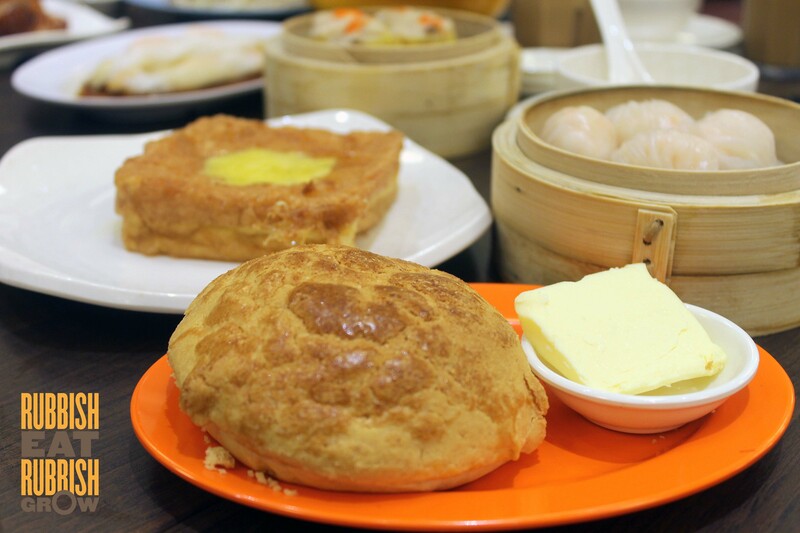 The toast, dim sum, and congee of 3 types of grains, including a Japanese short-grain, passed muster. I’ve been eating clean, but one guilty pleasure is Nissin instant noodles ($5.20), imported from Hong Kong, which tasted lighter and more refreshing than Singapore’s. I am a cheapskate, and would NEVER order instant noodles in a restaurant. I can cook at home what. But this one, I will order. Ipoh Boy and I ranked KL Hokkien mee 苏丹街炳哥福建面 ($4.60/$6) as our #1 favorite in the food court. It came thick, black, and very, very lardy and greasy–we loved it! The saying is true: once you go black, you’ll never go back. 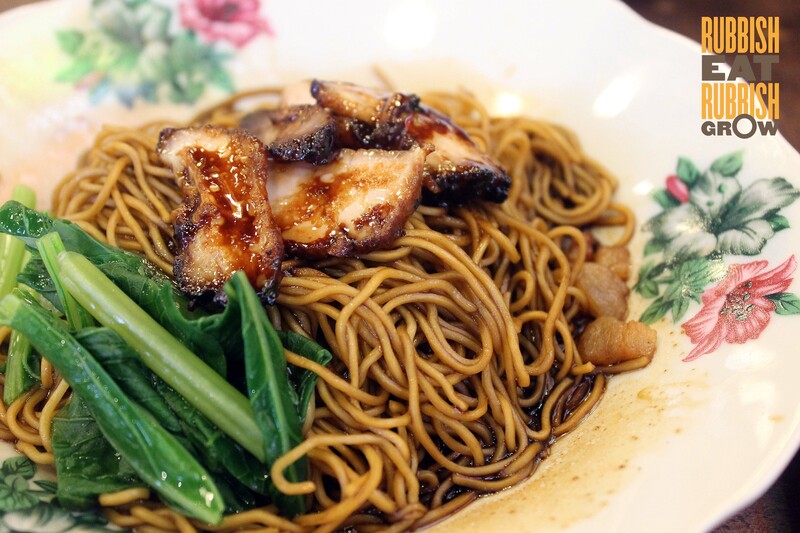 My second choice was KL Wanton Mee 吉隆坡鼎記云吞面 ($3.50), but Ipoh Boy complained it was no longer authentic. It wasn’t the salty Malaysian style, but a Singapore sweet style, with honey. Hey, I’m Singaporean so I loved it. The noodles were very springy and tasty. 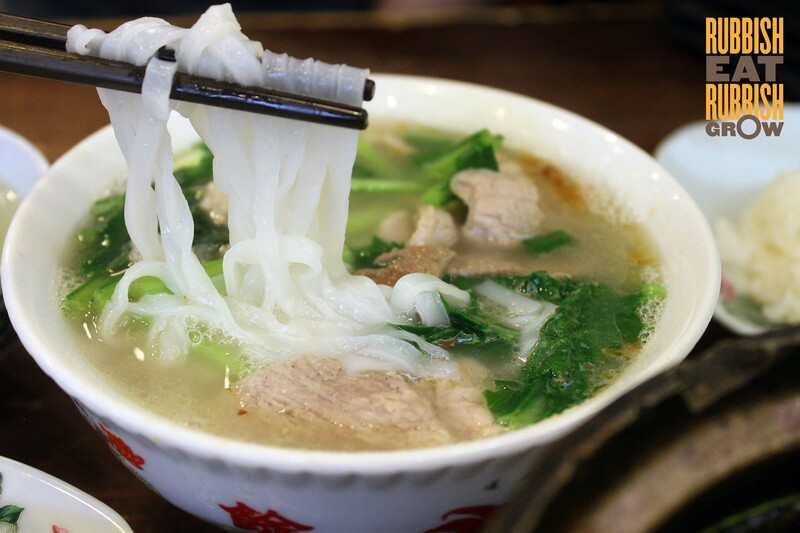 Ipoh Boy’s second choice was a light Hong Kee Pork Noodles 雄记猪肉粉面 ($3.50), and satisfied his homesickness. But this was bland to my Singaporean tastebud. These dishes were ok: Malaysia-styled Klang Bak Kut Teh 巴生肉骨茶 ($5+$0.50 rice) herbal, not the peppery Singapore style; Penang Jalan Cheong Fatt Tze prawn soup noodles 槟城福建虾面 ($3.50/$5); min zhang kueh from 槟城新关子角亚榜 Apom, a thin, wafer version; nian gao from 华仔三合一招牌年糕. 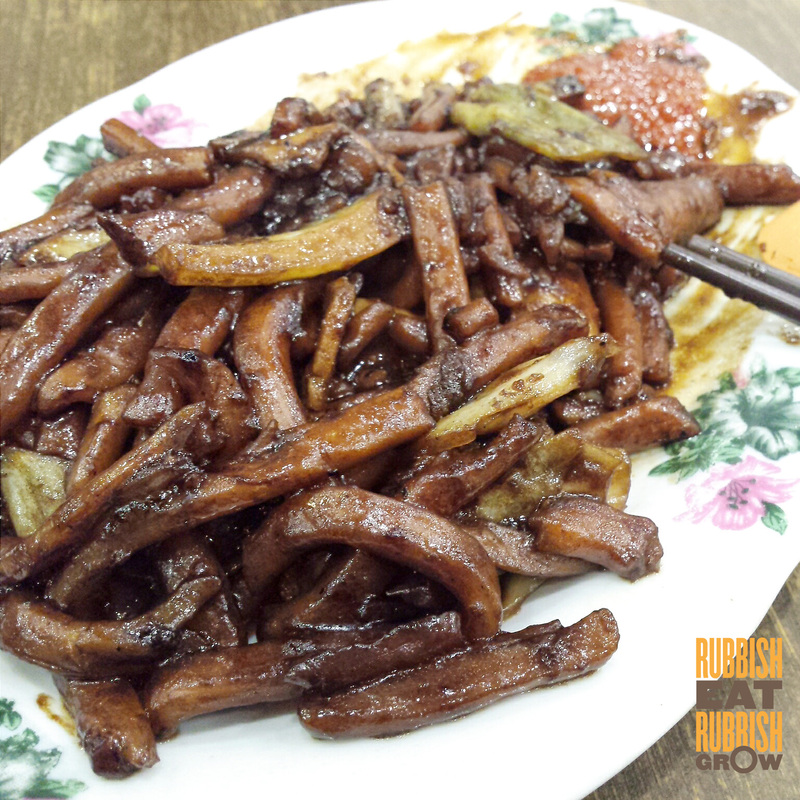 The 勇记槟城炒果条 char kway tiao ($4/$6) had a long queue all the time, as the hardworking hawker fries 3-4 portions at a time. My heart ached for the man, no rest at all. But it wasn’t worth queuing. It was Malaysian style, a slight saltiness, a slight spiciness, but otherwise rather tasteless. 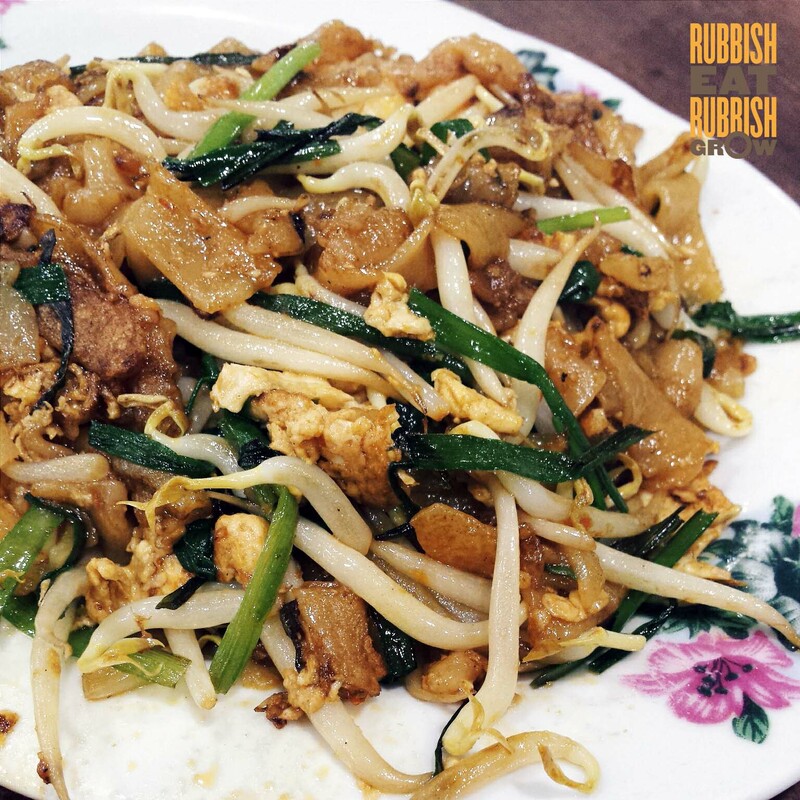 So if you don’t feel like char kway tiao that day, don’t queue. It’s NOT a must eat. Drinks & Desserts No desserts yet, but try the iced HK style tea & coffee mix 鸳鸯 ($2.80), imported from Hong Kong. The shifu Lo Chi Man has 19 years of experience just to handle drinks alone! The drink was very smooth, not at all bitter, a beautiful mix, not the least jarring. MUST ORDER: Best dish in the food court. 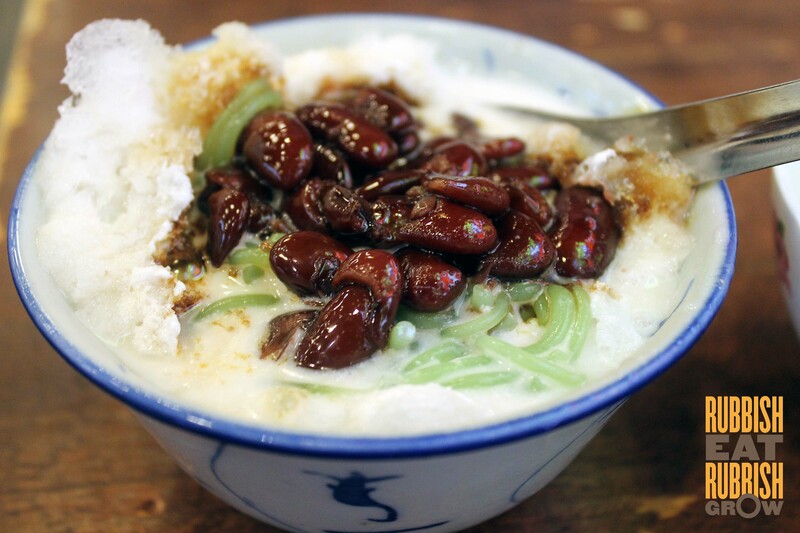 The Penang Road Famous Chendol ($2) was simple and simply the best in Singapore. Creamy, with a tinge of sweetest gula melaka. We had it both times we were there. (+) Had a kampong feel, and the food was truly satisfying. Conclusion It’s legend…wait for it…dary! I predict this will have branches all over Singapore. This is a million times better than *cough* Xin Wa.. *cough*. Yes, Malaysia boleh! 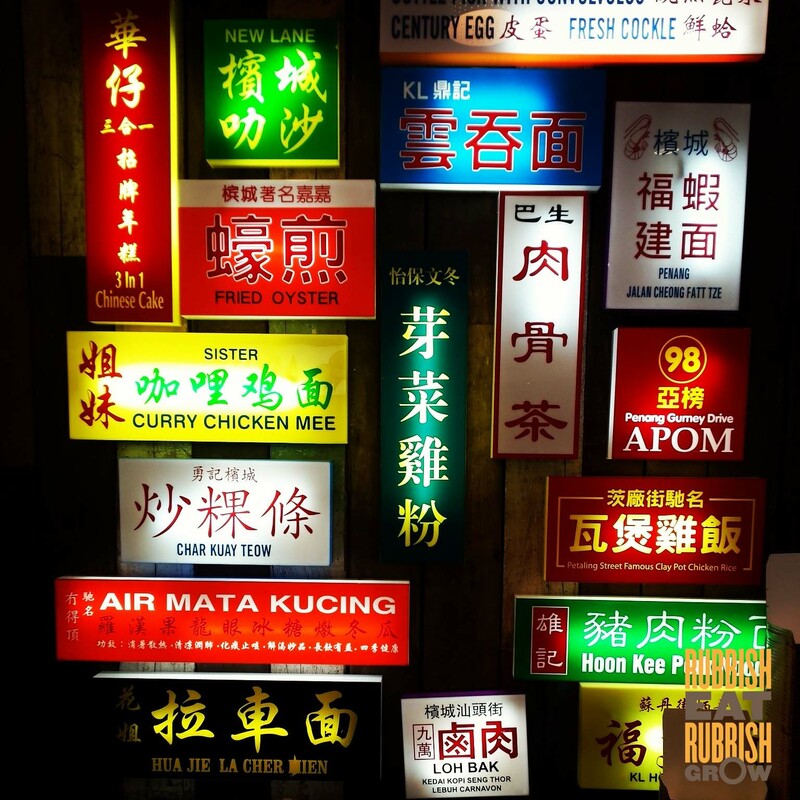 Makes me wanna visit the original stalls in Malaysia. ps: Thanks Winnie and Marie for the invite to Legendary Hong Kong. Singapore has really amazing food options now. Are you back in Singapore or still based in Japan? Been back for a few days already :) Trying to catch up on the SG food scene by reading your blog and other food blogs. Hope to meet everyone soon! 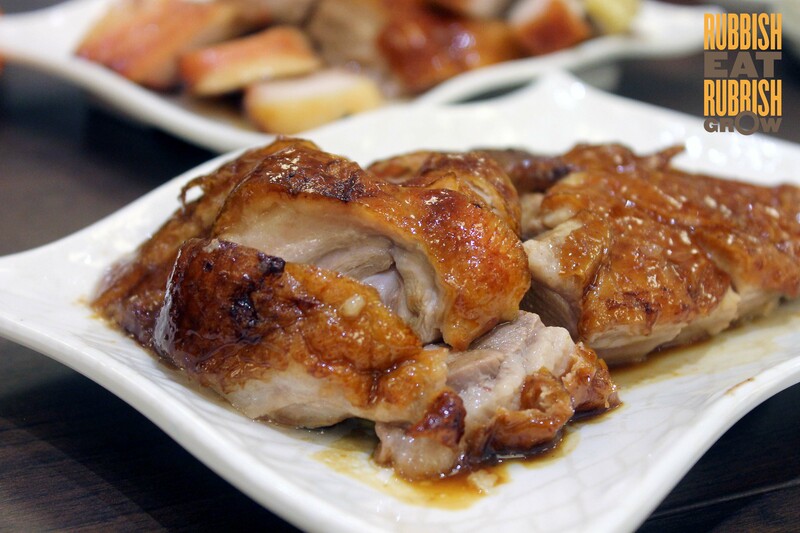 Pingback: Legendary Hong Kong @ Jurong Point Shopping Centre | Vegetus. A way of life.